As Client Relationship Specialist, Sara assists clients with any questions or concerns they may have regarding their financial accounts. She works with our custodians to process client requests, such as deposits, distributions and account maintenance. Sara received a Bachelor’s Degree in Business Administration with a major in Finance from Kent State University. She also received two Associate’s degrees in Business Management and Accounting. Having recently joined JFS, Sara brings over 13 years of experience in the financial services industry. 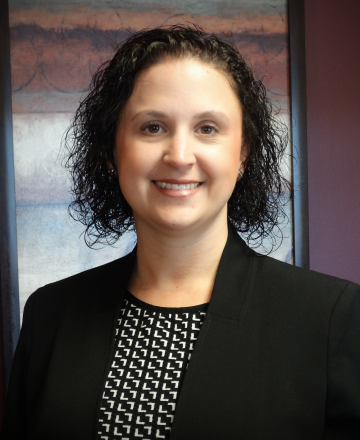 She started her career with Raymond James Financial Services, then began working for an Independent Broker/Dealer in their Compliance department before transitioning into her role as an Independent Compliance Auditor. In 2015, Sara changed roles to work with a Financial Advisor in Poland, OH where she was responsible for handling the day-to-day tasks relating to client services. Sara resides in Lordstown, OH with her husband Josh, her 8-year-old daughter Madilyn and her 5-year-old son Grayson. When Sara is not working, she enjoys spending time with her family and friends, attending her kids’ activities, and also crafting and quilting.